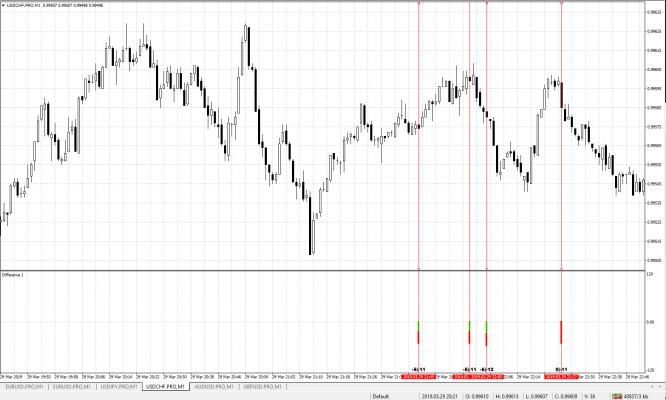 Dots above central line (0.00) represent situation when price on fast feed higher then price on your MT4 broker - BUY signal. 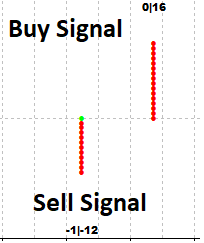 Dots bellow central line (0.00) represent situation when price on fast feed lower then price on your MT4 broker - Sell signal. Number of dots shows how big this price difference. Indicator draws green and red dots. Green dots shows current difference on current M1 bar. Red dots shows how smaller current difference on the same M1 bar comparing with previous. Numbers 0/16 show max and minimal price difference on current M1 bar. Difference 5 points appear between fast feed and MT4 broker and price on fast feed higher then on MT4 broker - Indicator draws 5 green dots. On next tick from fast feed difference 7 points - indicator will add 2 green dots = tota; 7 green dots. 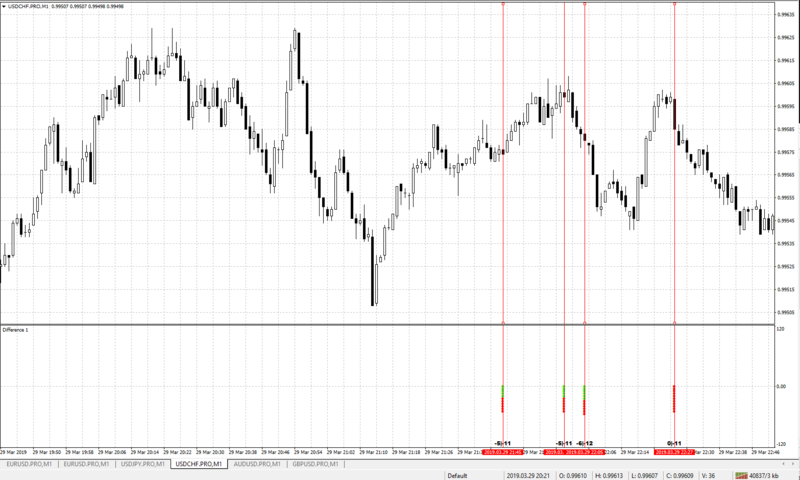 On next tick from fast feed difference 4 points - indicator will change color for 3 upper dots from green to red. It means that arbitrage situation fades away.